Material — forging gear blank into normalizing – Roughing outer circular hole and end face (according to the standard for machining allowance) – quenching and tempering heat treatment (quenching and high temperature tempering) – finishing the outer circle of the inner hole and end face (to survival size) – tooth (teeth grinding allowance) – tooth induction heating the surface quenching or carburizing quenching – tooth grinding – acceptance activities. 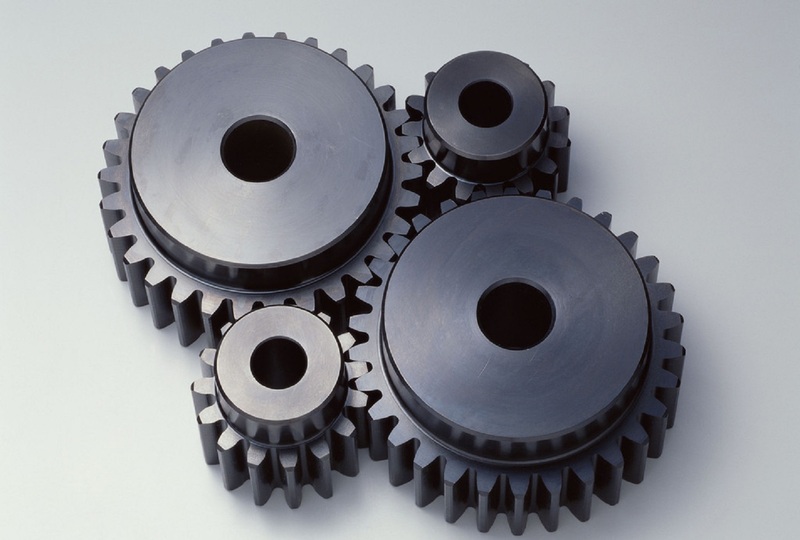 The following is a brief introduction to the processing and improvement of the gear. (1): at present, the hot forging forging blank is still widely used in automobile gear parts forging technology. In recent years, the cross wedge rolling technology has been popularized in shaft processing. This technique is particularly suited for complex ladder shaft billet, it not only high precision, the order of machining allowance small, and high production efficiency. (2): forging blank after normalizing the factory will also choose normalizing, annealing, normalizing and annealing for the purpose of making the grain refinement and uniform distribution of carbides, the removal of internal stress of materials, but because of normalizing the cooling speed faster than annealing cooling rate, thus normalizing organization than annealing organization more fine some, their mechanical properties are improved. In addition, the fire is not occupy cooling equipment, high productivity, so production use as far as possible to replace the normalizing annealing. The isothermal normalizing so that the product quality is stable and reliable. 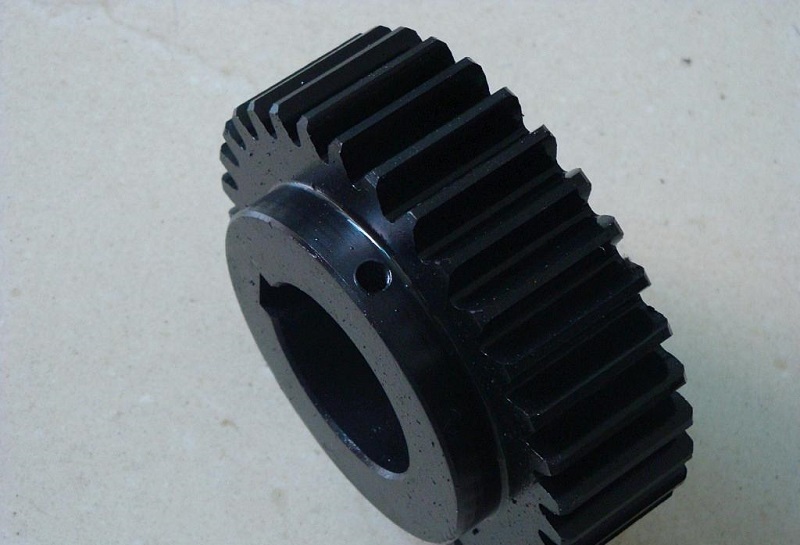 (5) finishing car processing: finishing the gear’s outer circle and end face, and processing the size to the size requirements specified by the drawings. For example, if we need further grinding, we need to reserve the allowance of 0.2-0.3mm for grinding to get higher accuracy requirements. (7): gear grinding tooth surface quality requirements more and more high, more and more low speed noise requirements. To achieve the dual goals of quality, noise, require higher precision gear machining, for mass production of gear grinding is still finishing the most effective method for processing general quenching. The tooth surface of pre grinding process error correction ability, can achieve high accuracy, tooth surface roughness can be as small as R0.63 ~ 0.16 microns. 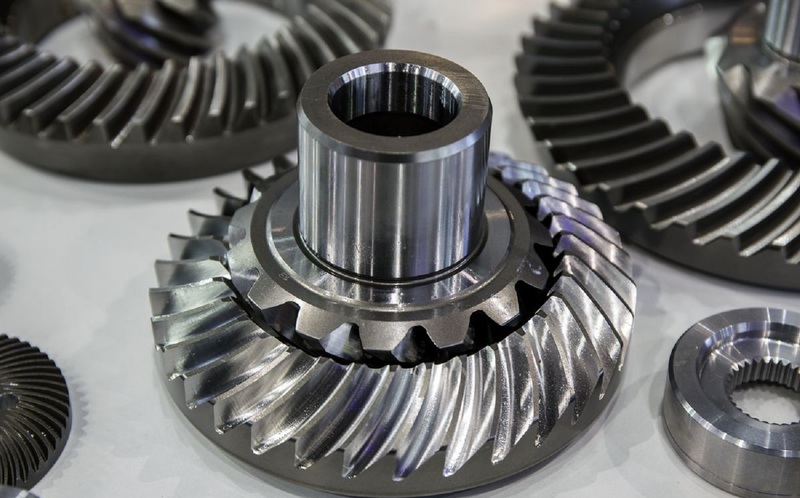 With the continuous development of the automotive industry, mass production of gear more and more, and the accuracy of the gear grinding requirements more and more high, it is an effective method to improve the accuracy, but for large quantities of gear grinding will affect the processing efficiency,Gear processing steps， such as the use of new technology to the car instead of grinding, the processing efficiency can be improved in without affecting the precision of tooth surface, the machinery manufacturing factory to get good economic benefits. “With the car instead of grinding is a lathe instead of grinding gear after heat treatment, the hardness above HRC45, so this tool selection is particularly important, only the selection of tools to properly improve processing efficiency according to the process of turning instead of grinding”, China launched three cubic boron nitride cutting tools, respectively is BN-H10 material, BN-H20 material and BN-S20 material, the three kinds of cutter type adopt non metal (ceramic) As a binder, not only high hardness and wear resistance and good anti impact performance, the BN-H20 material can be interrupted cutting gear, BN-S20 material of cubic boron nitride cutting tools is the overall PCBN tools, excellent impact toughness, can be intermittent rough gear tooth deformation of large amount, not tipping.